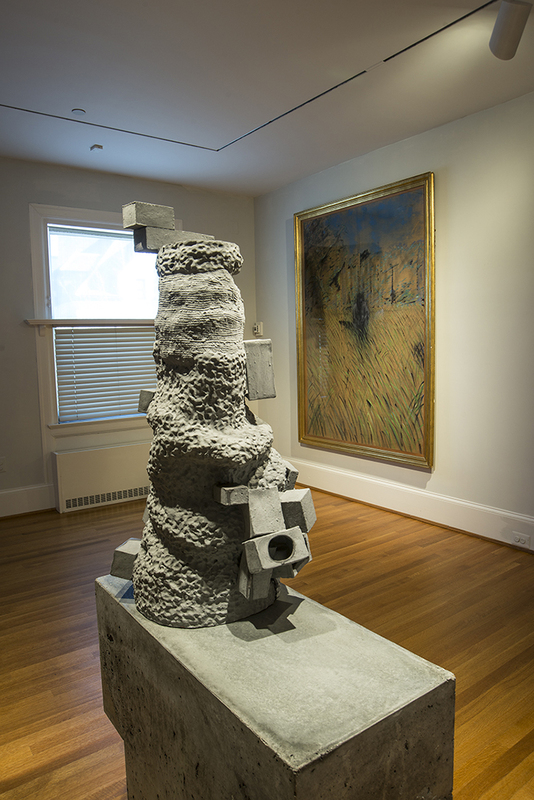 This pairing in a small gallery on the second floor of the original Phillips house is no coincidence; Intersections artist Arlene Shechet quite intentionally paired her ceramic work with Francis Bacon’s haunting Study of Figure in a Landscape (1952) from the museum’s permanent collection. 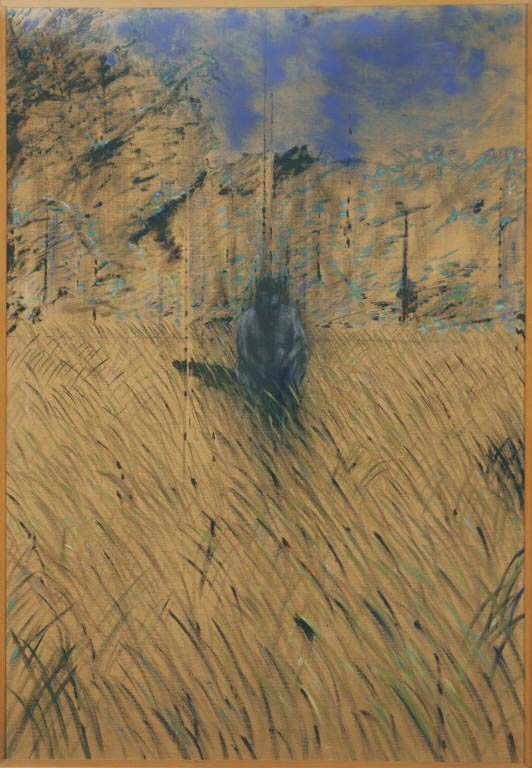 “My piece is called The Possibility of Ghosts, and when I first saw the Bacon, I felt the ghostly presence of the gray figure, so that came together immediately,” said Shechet. The two pieces are the only works in the gallery, inviting focused and direct dialogue between them. Hear more from Shechet in this interview with the artist. In this series, Young Artists Exhibitions Program Coordinator Emily Bray profiles participants in the 2013 James McLaughlin Memorial Staff Show. Join us for the Staff Show reception on October 10, from 5:30 to 8 pm. Michelle Lisa Herman is an interdisciplinary artist who lives and works in Washington, DC. She graduated from the Maryland Institute College of Art in 2008 with a BFA in general fine art and art history. Her work spans a variety of media, from abstract painting to interactive installation, often exploring ideas of communication and a desire for connection in the digital age. She has exhibited her work nationally in a variety of spaces including the Smithsonian Institution International Gallery, The Corcoran Gallery of Art, DC Arts Center, Artisphere, and the Washington Project for the Arts. Michelle Lisa Herman is a member of the Sparkplug artist collective sponsored by the DC Arts Center. I am the Digital Media Manager. One of the most interesting parts of my job is how it ends up overlapping with my art—sometimes I’ll be researching something for a piece and think of how it could be used at the Phillips or vice versa. I think being an artist has helped with a lot of larger projects as I have grown pretty skilled at seeing how individual, disparate elements will all come together. Who are your favorite artists in the collection? Two of my favorite artists in our collection are Odilon Redon and Francis Bacon. 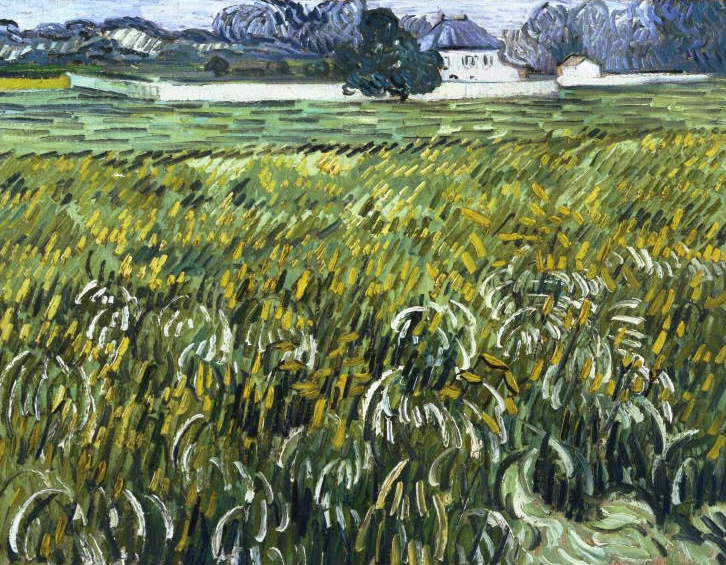 What would you like people to know about your artwork on view in the 2013 Staff Show? 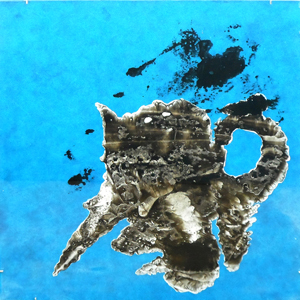 In my paintings I explore the essence of chance using a technique of painting called ‘decalcomania.’ By pressing ink or paint between two surfaces and then pulling them apart, I am able to create complex fractal patterns that upon deeper observation can take on a variety of interpretations—from mountainous landscapes to mythical creatures. I am fascinated with this method of painting as it allows me to remove the artist’s hand from a material that compels it.